is a voluntary association of men and women interested in writing original essays on topics of their own choosing and in listening to other members present their essays. Meetings are held on Monday evenings from October through May; one essay is delivered each evening. Most members are not professional writers, but all are expected to express themselves competently in English, and to present their essays in typewritten or printed form to the Secretary for inclusion in the Club archives. Members may sign in at the top right for additional content. Navigating this page: content is available through the tabs on the left. The Roll of Members contains the membership roster since inception, divided alphabetically. Please note that the Club only has copies of papers noted with the symbol (N). The Club Archives primarily consist of papers presented before the Club, and are housed at The Newberry Library. Most of those papers date from the 1930s, 1940s and later. There are also Histories of the Club in four major volumes and smaller occasional pieces; the Roll of Members includes the name and date of membership of all members from inception as well as the titles of their papers and offices held. If a paper noted therein has notation (N) following the date of presentation, it is held in the collection at the Newberry. If it does not have this notation, the Club does not possess a copy. The Club would be very grateful for copies of any papers it does not possess -- please contact the Webmaster. Copies can be digital or on paper. The artwork found on the site is original, created by Frederick W. Gookin in the late 19th and early 20th centuries. The logo above is from the cover of the 1887 Yearbook. 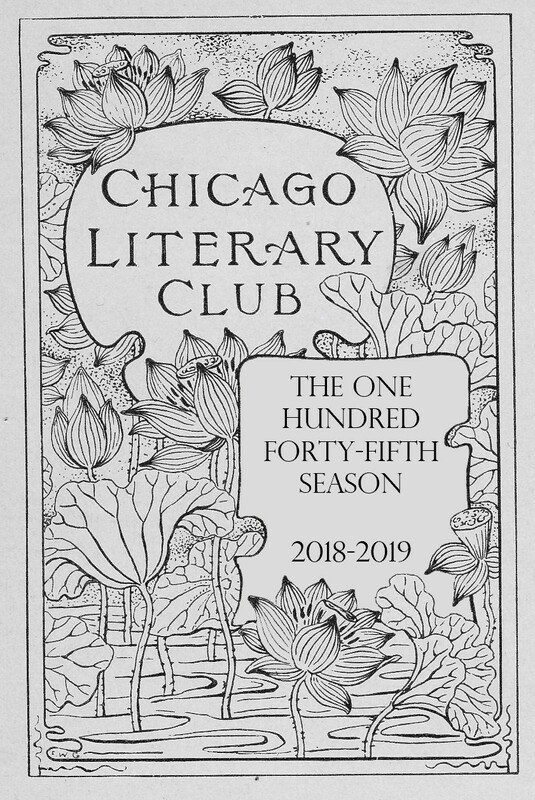 The artwork and all material on this site are ©1874-2014 by The Chicago Literary Club, except as noted.